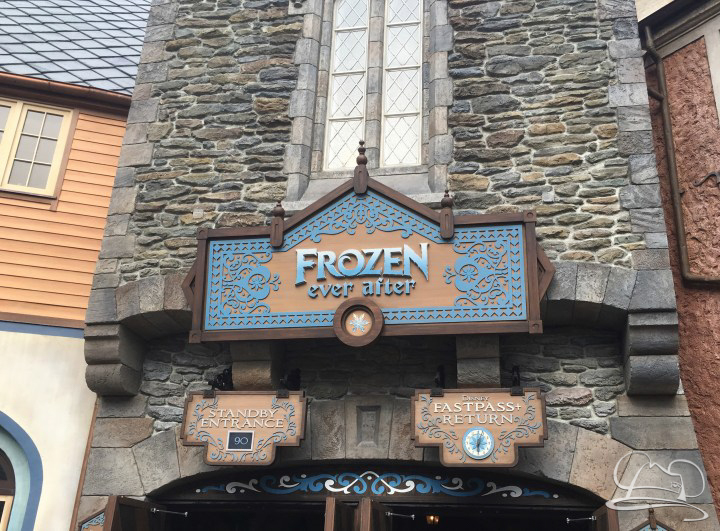 Frozen Ever After and the expansion of the Norway pavilion at Epcot in Walt Disney World has been anxiously anticipated by fans and critics of the Frozen franchise. I can happily say that Frozen Ever After and the rest of the expansion in Norway did not disappoint. 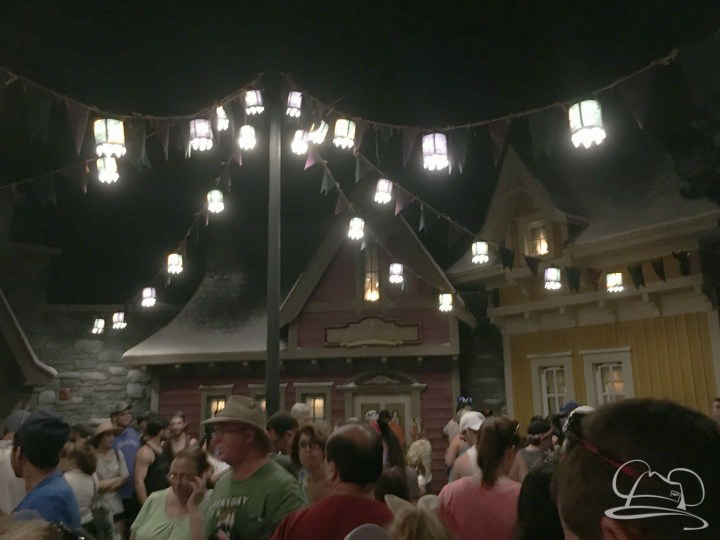 The new ride, new meet and greet in Anna and Elsa’s Royal Sommerhus, new shops, bathrooms, and new Viking streetmosphere characters are extremely well crafted and beautifully done. 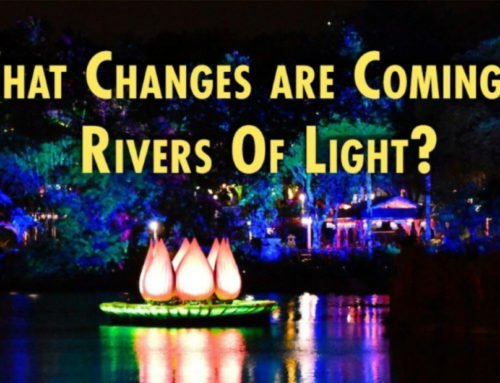 Walt Disney Imagineering did an excellent job with this project! Well done, Disney! Since the day Frozen Ever After opened on June 21st, the ride has attracted waits up to three to five hours in length. I thankfully did not have to wait that long for my chance to visit Arendelle. The wait time said 90 minutes when I arrived at 6:00 on a Thursday evening, and only waited about 70 minutes. My entire wait was thankfully indoors, especially in this Florida July heat. 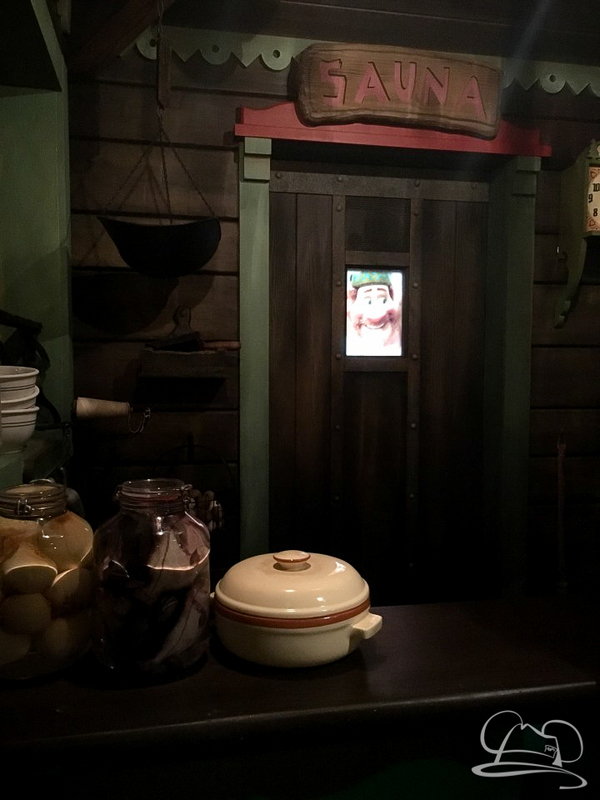 The queue of Frozen Ever After has fun special details that fans of the previous dark ride, Maelstrom, will love. 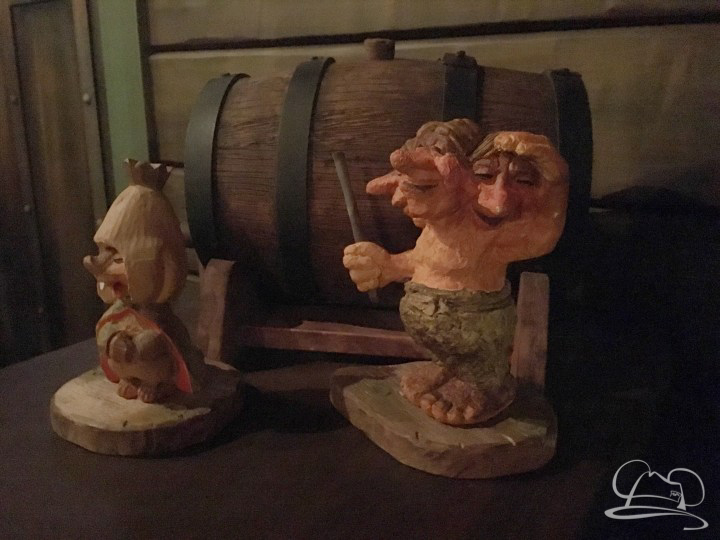 Inside the queue there is a version of Wandering Oaken’s trading post called Oaken’s Tokens (And Sauna) and in on the desk there is a troll statue. Also there are some prior show elements from the ride exit facade of Maelstrom that are still present within the queue. Fans of the Frozen short, Frozen Fever will also find some great details in some of the town advertisements on the walls. There is one that mentions Hans as he is shoveling manure and then gets hit by a huge snowball. The music of the queue are beautiful unique instrumentals inspired by the soundtrack of Frozen. The ride itself starts on the North Mountain where you meet Olaf and Sven. The animatronics are beautiful! Olaf was my favorite character of the attraction as his snowy body glistens and truly comes to life! From there you visit the lovable trolls then ascend to meet Elsa in her ice palace. Everything looked visually appealing and the graphics were stunning. The animatronics are state of the art for Disney Imagineering and bring the animated characters to life. One of my favorite little details in the attraction are the puffins that came from Maelstrom! The ride ends with a look at Anna and Elsa in their beautiful Frozen Fever dresses. I feel that the ride did an excellent job of recreating the story of Frozen. It was executed beautifully. For Disney Imagineering to redesign the space devoted to Maelstrom into Frozen is very impressive! The animatronics are state of the art and are very beautiful! Disney has always been the innovators of audio animatronics, and the creation of these animated characters with projected faces is a genius idea. For children, they feel that they are genuinely seeing their favorite characters because their faces look authentic to the movie. Audio animatronics are incredible machines and the programming related to them is complex. By using projected faces, this takes the work load of the machine down dramatically and leaves more room for movement of the character’s extremities. These animatronics are unique and they are beautiful. Every person that I observed step off their boat at the end of the attraction had a smile on their face. This is a great addition to Walt Disney World and it does the movie justice. For the past several years we have seen numerous stage shows, events and parade elements related to Frozen but this was the first big advancement of the franchise. Not only is the ride beautifully done but so is the new meet and greet location! The Royal Sommerhus is the new exclusive meet and greet location for Anna and Elsa at Walt Disney World. 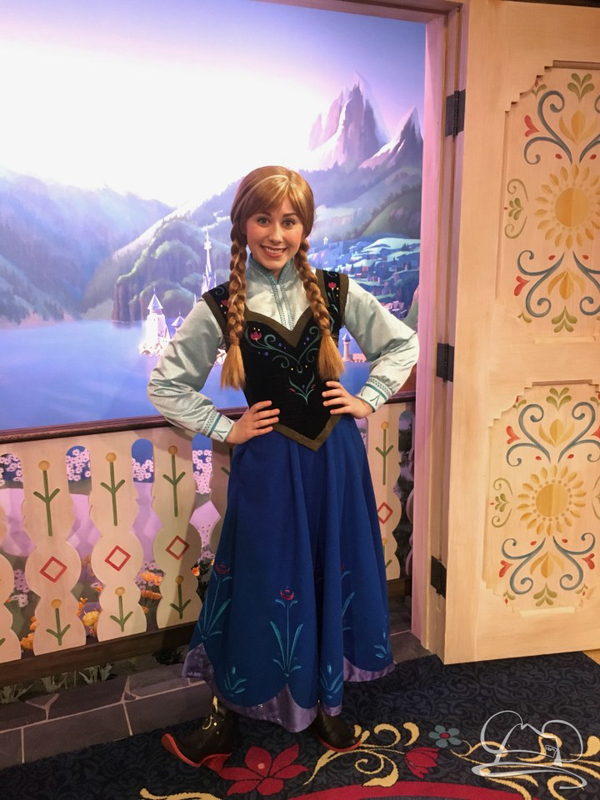 They are no longer meeting guests at Princess Fairytale Hall at the Magic Kingdom, if you would like to meet Anna and Elsa… This is the place to be! The Sommerhus is beautiful with lovely Norwegian touches and adorable nods to the film. 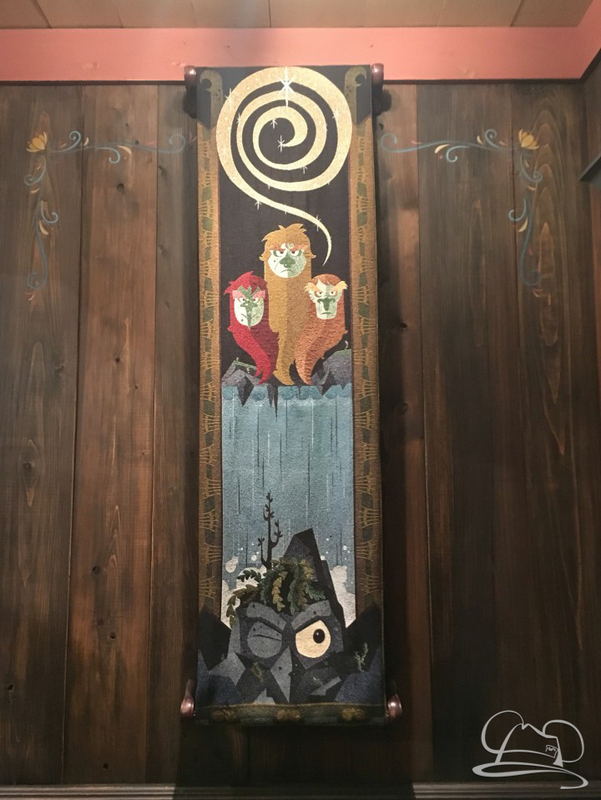 My favorite element was the Maelstrom tapestry in the hallway, I really appreciate that Disney Imagineering has listened to the Disney fan community and included small details such as this, and I’m sure that it is just as much for us as it is for them. Every attraction and project at Walt Disney Imagineering is a work of art, no matter how big or small… So to see small elements such as a tapestry that maybe the general public would not recognize is a beautiful gift. And things such as this we should see as beautiful gifts, so thank you Walt Disney Imagineering! The meet and greet space for Anna and Elsa is very charming with gorgeous sets from the film behind each of the girls. Each guest has the opportunity to meet with each of the sisters individually which is a great addition, as the sisters previously met together in the Magic Kingdom. Disney’s Photopass photographers are available to take your picture as well. Following the meet and greet there is a new shopping experience for all of your Frozen merchandise needs. There is new artwork, Disney pins, character dresses, t-shirts, hats, Olaf plushes, and even Sven plushes. If there are any Frozen fans in your group, this is the place to take them! To put it briefly, the Norway Pavillion’s newest additions are incredibly detailed and well crafted. 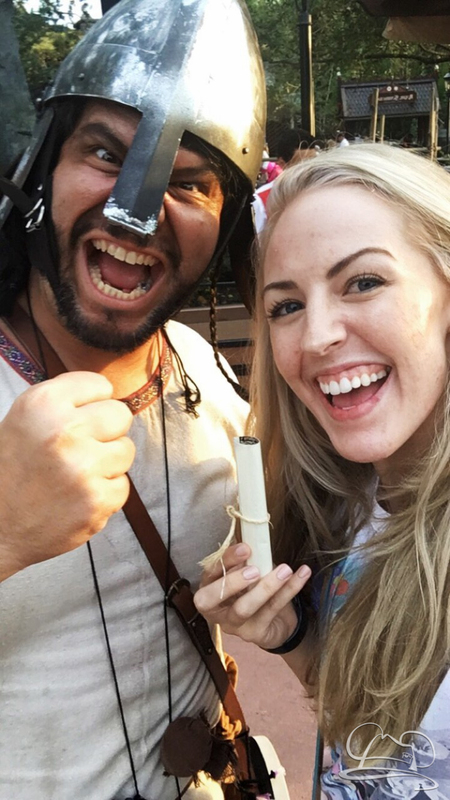 The new Frozen Ever After attraction and the Royal Sommerhus meet and greet are must sees for every guest whether you have appreciated Frozen in the past or not. It is not too late to appreciate Frozen or at least appreciate a new ride to experience at Walt Disney World! As for me, I cannot wait to go back to Frozen Ever After and see Olaf in all of his glistening glory!